Please call or text to confirm my availability at 631-276-3027. June: 4, 5, 6, 7, 10, 11, 12, 13, 14, 17, 18, 19, 20, 24, 25, 26, 27, 28. You may be wondering if there’s a procedure for IEP meetings. There’s no set way the meeting must be run. But IEP meetings do have to cover certain bases. To begin with, the school must give you advance notice of the time and place of the IEP meeting. They should also try to schedule it at a time when you can attend. At the meeting, participants will review the draft of the IEP together. It’s a draft because discussion during the meeting may result in changes. Everyone will share their ideas and suggestions. Much of the focus will be on mapping your child’s needs with the goals, services and supports in the IEP. 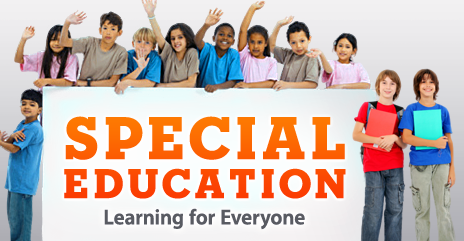 If it’s your child’s first IEP, the team may go over and explain the evaluation results. Be prepared to point out your child’s strengths at the meeting. This can help the team understand your child’s talents and abilities and weave them into IEP goals. Strengths-based goals can help kids make progress by leveraging what they’re good at. The team leader will note changes to the draft that the whole team has agreed to. That includes you. You’ll be asked to sign the IEP document to show you approve of it. There are certain things you should double-check before signing. You don’t need to sign it right then and there either. You can ask to take it home and review it. And if you don’t agree with the draft, it’s OK to decline to sign. We contacted Wayne Rock when we realized we needed an Advocate to fight for our child’s needs. He has gone above and beyond what we expected of him. He truly cares for all children and especially for the ones in need of extra services (PT, OT, Speech). Mr. Rock is an educated professional and well respected by his peers. He is expertly versed with the complicated process of dealing with CPSE/CSE related issues. He took the time to thoroughly investigate our child’s needs and explain in detail all possible outcomes that might have occurred through out our case. Most recently he helped us navigate through the complex process and “politics” of our daughters Impartial Hearing to secure services that she was entitled to. We were lucky to find him and secure his services. Now our daughter will be benefitting from services Mr. Rock has helped us obtain. Thank you Mr. Rock for everything you have done. I contacted Wayne when I was having a difficult time communicating with my School District. It had come to the point where meetings had become very one-sided. I felt that as a parent, I had the most to contribute to any meeting – but I was being ignored and being steam rolled into just listening what the board was going to do. Wayne’s reputation preceeds him and we started making a lot of headway into my child’s needs. He has been very supportive on this journey and I cant thank him enough. He’s not just a parent advocate – he’s also a parent. He’s on our side! Wayne Rock was a God send for my son and I. He truly is passionate and caring. My son is a bright, personable, and charismatic little boy. In during 2014 – 2016 he attended an amazing special education school in Middle Village. After a move to a different district we encountered our first problems with the DOE. Because the school was so good he continued to attend Positive Beginnings in Middle Village but the long bus rides (sometimes over 2 hours) we decided to place him in a local private school where his older sister attends. We notified both schools and the board of end during the summer of 2016. The case manager at the DOE even though she never met my son insisted he should not be in the private school. She insisted he should be in an integrated school. We looked into the schools she recommended but they were not adequate and quite frankly unsafe. Never had I had such a fight to get services. There were weeks in laps of not being able to communicate with her. She made us jump through hoops and meetings. There was always something. All the meanwhile my son struggled with the adjustment from a very active learning environment to a more structured and sedentary learning. Teachers wrote letters trying to prove he would benefit from a SETS provider plus OT and Speech. The letters were then used against us still trying to push for the integrated school. It wasn’t til March of 2017 we were finally able to get an IEP and services didn’t start til April. Wayne took our case in June and one the case just 2 weeks after school started. They will now continue the one on one SETS services during his kindergarten year! He also was able to get a Private Evaluation to be paid for by the DOE! Thank you Wayne for helping my little boy get the help he needs to obtain a good educational foundation for his future. As his mother, I will never forget you and what you have done for our family! I have been using Wayne Rock for about the last 4 years. It all started when I noticed my son was having difficulties in reading. We were in a parent-teacher meeting to discuss options for the following year. When I asked about reading resources I was told they would be doing the same things they had done the previous year, small group reading. When I explained my concerns I was ignored. That’s when we got Wayne Rock! He looked over my son’s evaluations, testing reports and over all grade average, he even requested additional testing to help evaluate my son’s needs. Wayne Rock was on board. Not only did we get reading resources but he implemented the use of the Wilson Reading Program in my son’s school. A CSE meeting can be very overwhelming especially when you don’t understand the ” educational lingo”, and the schools know this. With an advocate like Wayne Rock, who knows the language and the laws, the school districts don’t mess around. If you are looking to make sense of a CSE meeting and get the help you know your child needs you definitely need Wayne Rock!!! My son is now reading on grade point level and has made Honor Roll 3x looking forward to 4! Wayne Rock is a blessing in disguise. It has been an emotional roller coaster with two children needing services. Going into CSE meetings and fighting for your children in my experience is like fighting a war and Wayne Rock when that battle is over you leave out feeling a relief that that battle is over because Wayne rock is the god of advocates fighting for children needs. I have been using him for about 3 years and words cannot express how I feel about how he has helped my children as if they were his own. If you need someone advocating for your children and fighting for their education, Wayne Rock is your advocate. Thank you Wayne for advocating for my kids.